“The thing that shines out is the attention to detail……a particular forte of the practice, both in terms of the finished product as well as in the project management. AKA offers understated confidence in its design ethos, which helps attain the best solution. This considered approach is invaluable when taking a scheme through planning and the practice is expert at guiding a client to the right solution, one that is contextual, attractive, and deliverable." 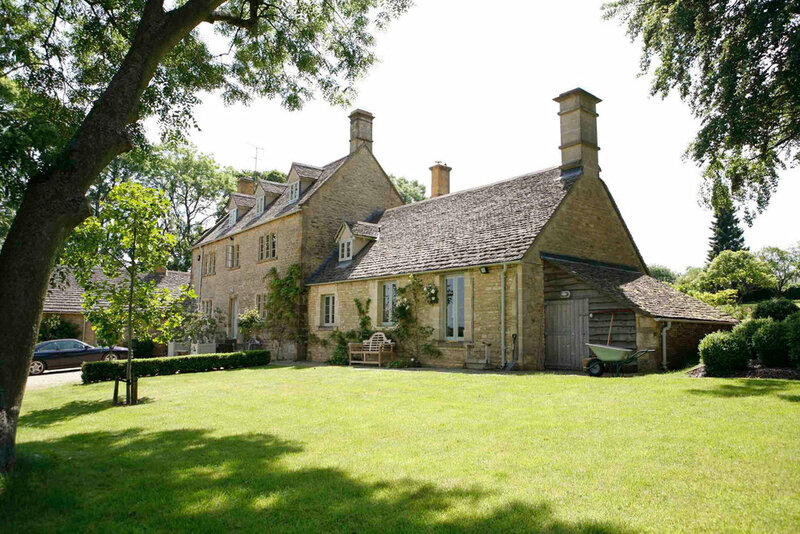 "Some years ago I bought a remote and dilapidated farmhouse in Gloucestershire. I was lucky to be introduced to Andrew Kenyon Architects (AKA). The farmhouse was listed and needed a sympathetic touch. I soon found that AKA completely understood this and the intricacies of doing up a listed building. They were able to alter, to extend and to integrate modern ideas into the imposed confines. We were able to extend the house considerably and the firm’s clever and appropriate designs were very well received by the planners. Andrew was able to assemble an excellent team from his extensive contacts, and personally oversaw the project to ensure that it was built to the highest standard. His involvement also extended to built in furniture, lighting, and finishing details. It was a pleasure to work with Andrew and I would have no hesitation in thoroughly recommending Andrew Kenyon Architects." “Andrew Kenyon did a wonderful job for us when we extended and renovated our house in Little Tew. Andrew produced a great set of detailed drawings and obtained all the necessary planning permissions for this large project. In addition, Andrew helped us find a very good builder and capable quantity surveyor then provided excellent leadership for this compact team of experienced professionals. Indeed, Andrew managed the entire project for us from start to finish and we are delighted with the result. Andrew is a brilliant designer as well as a skillful, reliable and likeable Architect who made it all happen for us at Little Tew. “I have worked with Andrew Kenyon Architects on development projects in Gloucestershire, Oxfordshire and Cambridgeshire for over a decade. Projects have included new build, extensions and conversions. Commissions have varied from feasibility studies through to full design and technical drawings for construction. My experience is that Andrew has a rare ability to be both original and sympathetic to each unique site and brief. Likewise he shares a considered approach with patient flexibility. Communication and access to Andrew and Wendy is straightforward and positive. I simply enjoy working with them. Most recently we have completed an Estate Office designed by Andrew. It's consistently drawing favourable local reviews in an area not known for approving commentary! To accommodate change and the evolving Estate business both the site layout and the building have been designed with flexibility in mind - it's a classic example of a well thought through project.